Cute Wallpapers are something I’ve always loved. Ever since I was a child I have loved interior design. My Sister and I had a dolls house and we would collect samples of wallpaper to decorate our home. Deborah and I would also design our future homes and create mood boards using samples from stores we visited with my parents. Today I am so excited to share some fantastic and cute wallpapers which are available from the fantastic Wall Murals and Photo Wallpaper Store Wallsauce. I’m so excited. 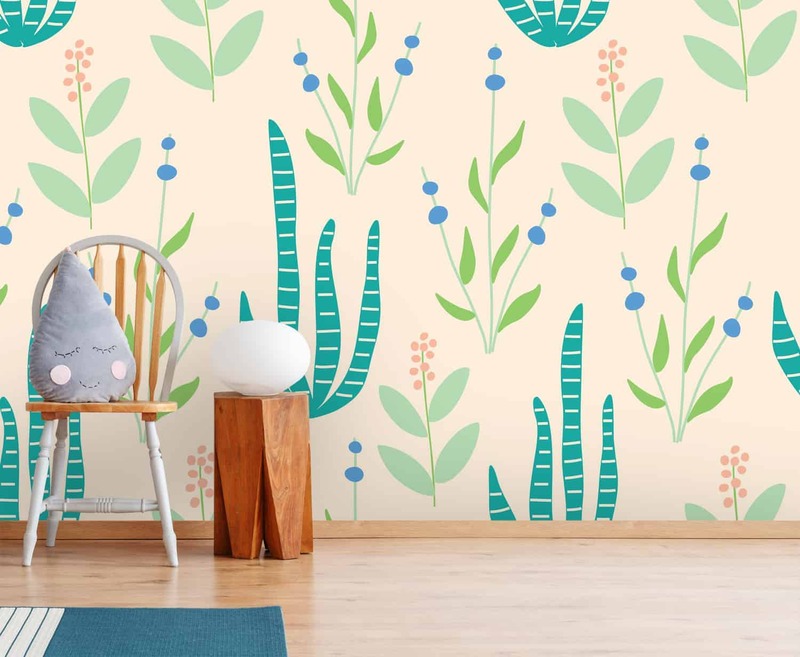 These children’s wallpaper ideas are fantastic, beautiful and creative and I thing they look absolutely amazing. I have so many ideas and my mind is exploding. I am super excited to share some of my favourite kids wallpapers with you today. Enjoy! 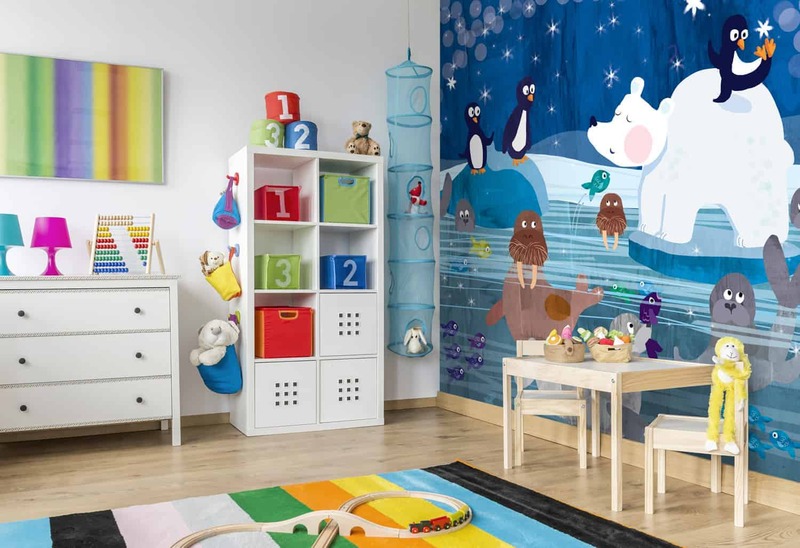 The first children’s wallpaper mural I’m sharing today is an Artic themed kids wallpaper mural with some super cute artic characters from the Polar bear to the walrus, the seal and those super cute penguins. I really like this children’s wallpaper. I think it would work well for both a boy or girl and that the mural would look amazing in a nursery or classroom. This Old Mcdonald Farm wallpaper is super cute and another fun wallpaper the kids would love. 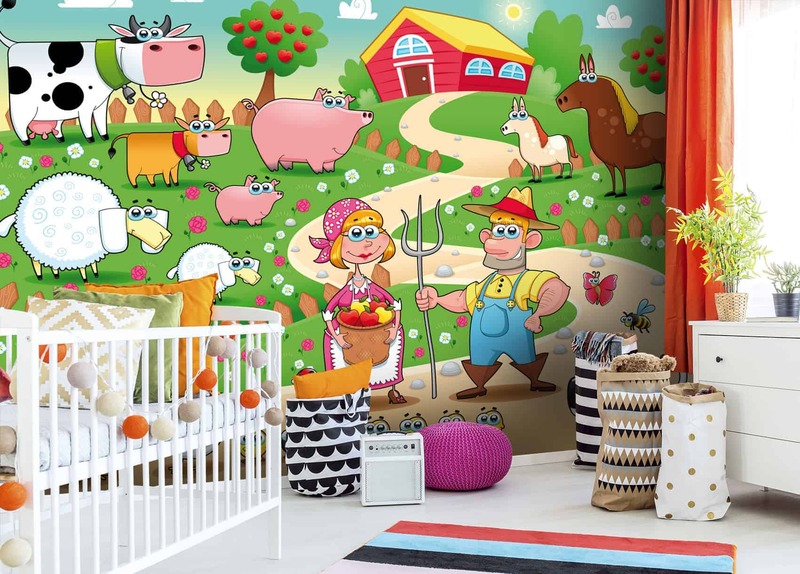 I would love to use a farm themed wallpaper mural such as this Wallsauce mural in a playroom or nursery setting. I think the animals are super cute and the colours are bright and cheerful. I really do love this garden themed wallpaper. It’s so simple and cute and would make a wonderful backdrop and wallpaper for a child’s room. The one thing I love the most about this wallpaper mural is the simple and peaceful feeling you get when looking at the wallpaper. I think this would be great for someone looking for a minimalist look in your child’s room. This jungle wallpaper from Wallsauce is really well illustrated and super cute. I really love the design and again could see this in a Nursery, a playroom or bedroom. I love the crocodile at the bottom of the wallpaper mural and think any child would love this scene in their play area. What I really love about the following wallpaper mural is the fact, the animals are going on an adventure in the night. 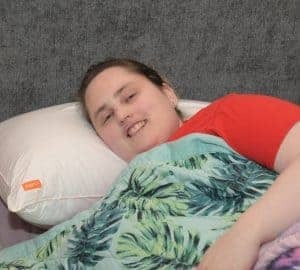 With the stars and moon in the background, this wallpaper sets a great bedtime scene which is peaceful and would be great for children going to bed. I think the wallpaper would encourage reading, chat about adventures and talk about where the animals are going. 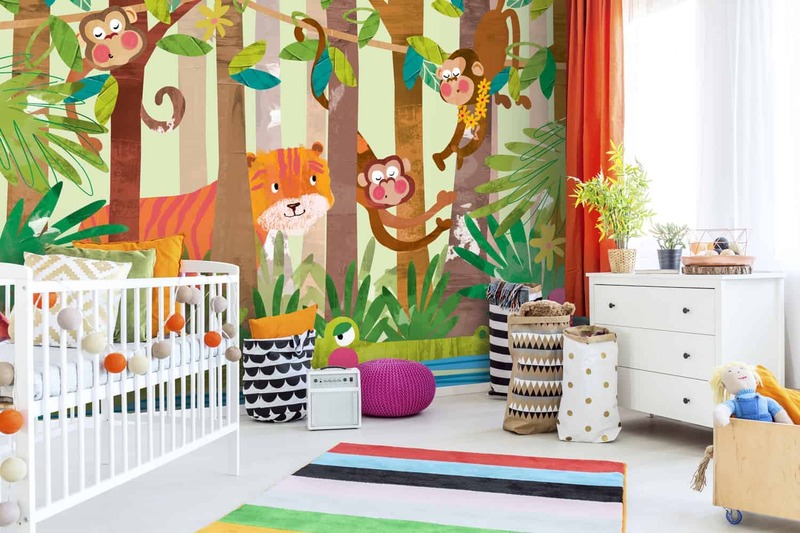 It’s a wallpaper to get your child’s imagination going and might even spark some interesting dreams at night. 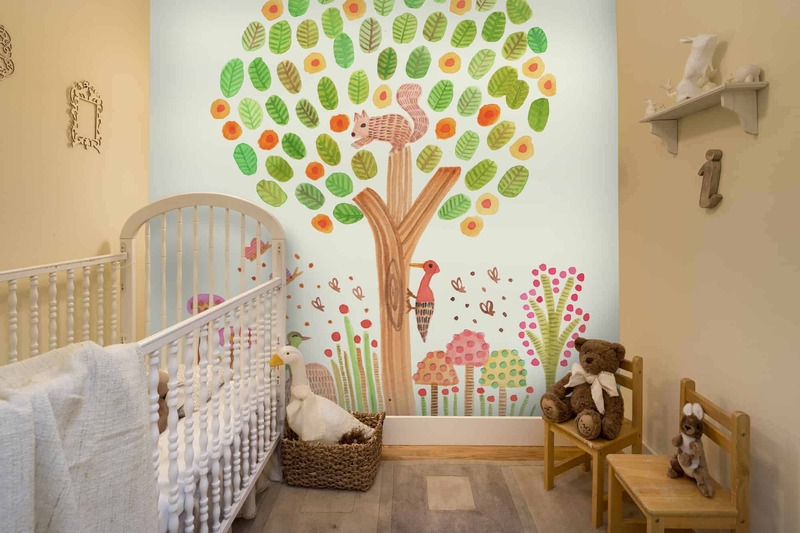 This cute Tree themed wallpaper has a squirrel and woodpecker and sets a lovely one and theme for a child’s room or nursery. I really love the illustrations and could picture this wallpaper in the bedroom of my niece. 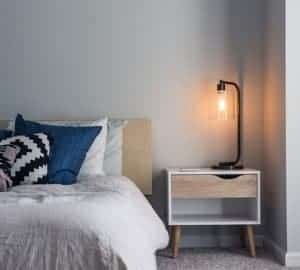 It’s simple but bright and has love Autumnal tones so would go great with brown or white furniture. I love the design of these birds on this wallpaper mural. I like the colours and the watercolour design and could see this in a bedroom or play area. This is a great blue toned wallpaper and looks almost painted on. 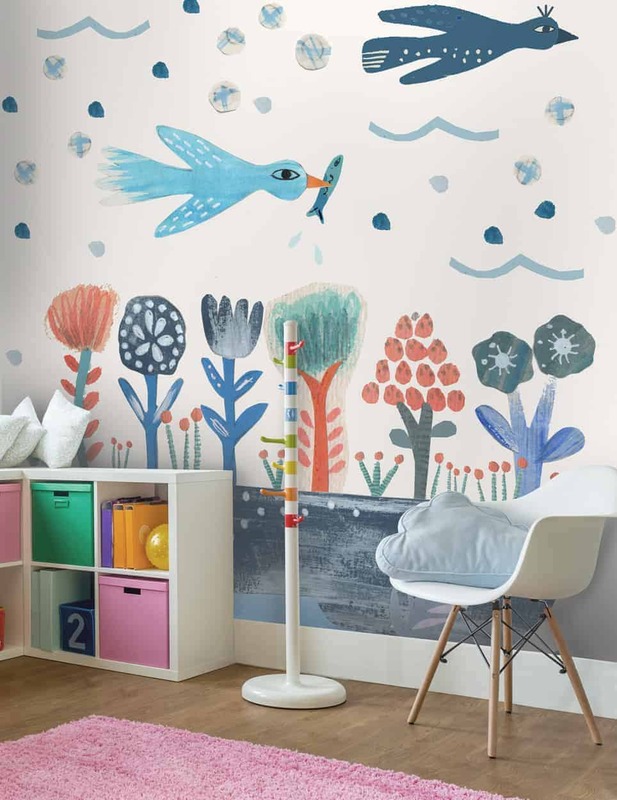 It’s a wallpaper style kids would love and again is a wall mural to spark conversation and the imagination. I hope you enjoyed seeing these fun wallpaper ideas for kids. I do love them all for different reasons and I’m looking forward to decorating our own future home when we move at the end of next year. Exciting!